Born in Norman, Jerod Impichchaachaaha’ Tate is an Emmy Award-winning classical composer that has shared his love of Oklahoma and the Chickasaw Tribe with the world. Though Tate’s younger years took him across the U.S., he has planted deep roots in Oklahoma - what he calls the “the Cowboy and Indian state in the Union” - and he continues to live in and work from Oklahoma City. In his formative years, Jerod Impichchaachaaha’ Tate - whose traditional Chickasaw house name means “high corn crib” - attended Charles Evans Elementary School in Ardmore before moving to Colorado during middle school and Wyoming during high school. He continued his travels while attending Northwestern University in Evanston, Illinois where he received a Bachelor of Music in Piano Performance. He went on to earn a Master of Music in Piano Performance and Composition from The Cleveland Institute of Music in Ohio. Throughout it all, his heart remained tied to Oklahoma and his identity with the Chickasaw Nation. “This is the land my tribe was forever promised as our permanent home and I am very loyal to it,” Tate said. From a young age, Tate’s musical passion was nurtured by his parents, who were both involved in music, dance and theater. His Chickasaw father, Charles Tate, is a concert pianist while his Manx Irish mother, Dr. Patricia Tate, was a professor at the University of Wyoming Theatre & Dance. He was also supported by his paternal grandmother, Juanita Foshi’ Keel Tate, who gave him the name “Taloa’ Ikbi,” the Chickasaw description for composer. In his youth, Jerod spent his free time attending his parents’ musical and theatre rehearsals, as well as iconic Oklahoma attractions like Lake Murray State Park, Turner Falls Park and the Chickasaw National Recreation Area. “I am humbled with the fact that I am able to express myself through the medium of fine arts about my Indian identity." Although he always had a passion for music and strongly identified with his Native American heritage, he didn’t combine the two until his mother asked him to write music for one of her ballets. His first commission, the ballet score for “Winter Moons,” premiered at the University of Wyoming in 1992, and it was later performed by the Colorado Ballet in 1994 and 1996. 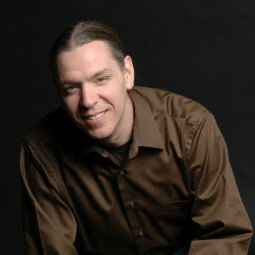 Also in 1994, Tate was invited to perform his double bass concerto “Iyaaknasha’" at the first convention of American Indian composers in Boulder, Colorado. Since then, Tate’s commissioned works have been performed by symphonies and orchestras across the country, including the National Symphony Orchestra in Washington, D.C., the Detroit Symphony Orchestra, the New Mexico Symphony and nearly a dozen more. He has also commissioned works for Oklahoma City University and the Oklahoma City Ballet. However, his works aren’t limited to concert music. Tate has also written the score for the documentary TV shows “First Americans Journal” and “Indian Country Diaries: A Seat at the Drum.” His work has also been adapted for the highly-acclaimed HBO TV show “Westworld” and was featured in the 2012 Terence Mallick film “To the Wonder,” which was filmed in Bartlesville and Pawhuska and starred Ben Affleck and Rachel McAdams. When he’s not busy creating award-winning compositions, Tate finds time to give back to the community. In his home state, he has served as an adjunct instructor of orchestration at the Oklahoma City University, as well as the Artistic Director for the Chickasaw Chamber Music Festival in Ada and the Composer-in-Residence for the Chickasaw Summer Arts Academy. 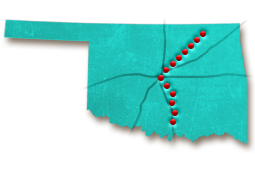 Outside of Oklahoma, Tate has also served as the Composer-in-Residence for the Kennedy Center for Performing Arts/National Symphony Orchestra American Residency Program in Wyoming, The Joyce Foundation/American Composers Forum in Minneapolis and for the Grand Canyon Music Festival’s Native American Composer Apprentice Project in 2004. Now living in Oklahoma City with his wife and their son, Tate remains humbled by his enormous success. Jerod serves as an adjunct instructor of orchestration at what Oklahoma university?